As a condominium owner in Arlington, you might be interested to know that, in 2017, condominium values in Arlington increased more than 8% over the previous year. As of January 12, 2018 there were ONLY TWO condominiums available for sale in the entire town! This lack of inventory is unprecedented and has contributed to the increase in condominium values. The very limited supply combined with high demand means, if you are thinking of selling, your timing is perfect. Let us help you get moving! Now is the time to capitalize on the current market condition, no one really knows how long this lack of inventory will last. Contact us for a comprehensive market analysis to understand the value of your condominium and the current market conditions. There is no cost, no obligation, and all information is confidential. 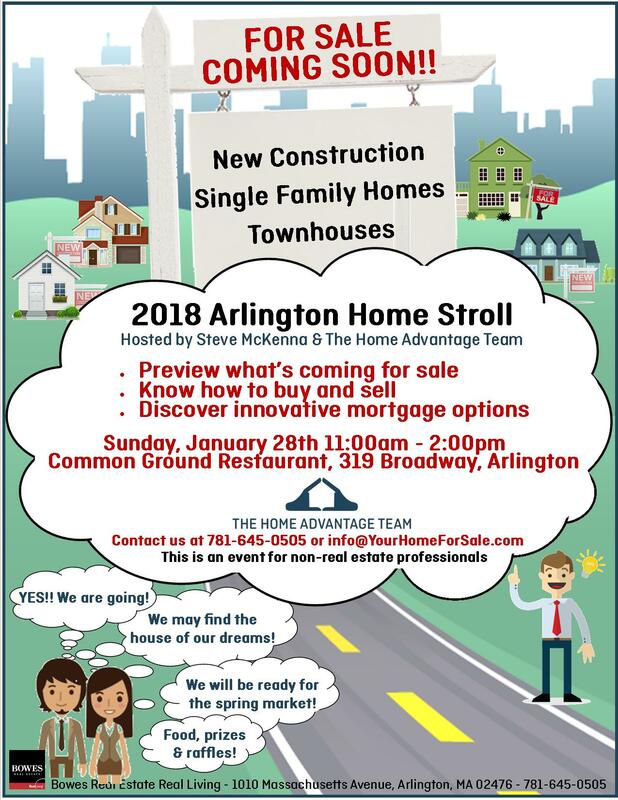 Join Us for the 2018 Arlington Home Stroll! Looking to buy a house in Arlington? This is the time to get in the market - and this is the event to attend! Do you have questions? (How do I buy? Can I buy & sell at the same time? How can I finance a home?) We have the answers. We will take you on a tour of these fantastic homes, the neighborhoods, and we'll answer all your questions. Contact us today to reserve your spot: 781-645-0505, info@yourhomeforsale.com. Spotlight: Arlington Homes of the Week & Open House Schedule! Listings listings, listings! We are in full fall swing, so don’t leave the house without a schedule of Arlington open houses – after you come visit us at Arlington Town Day of course. We’ll be at the Bowes Real Estate booth with lots of fun giveaways. See you there! Friday, September 15th, 11:00 a.m. – 1:00 p.m.
Saturday, September 16th, 11:00 a.m. – 1:00 p.m.
Saturday, September 16th, 1:00 a.m. – 2:30 p.m.
Friday, September 15th, 11:00 a.m. – 12:30 p.m.
Saturday, September 16th, 11:00 a.m. – 12:30 p.m.
Saturday, September 16th, 1:30 p.m. – 2:30 p.m.
Friday, September 8th, 11:00 a.m. – 12:30 p.m.
Saturday, September 9th, 11:00 a.m. – 12:30 p.m.
We have a whole host of listings this weekend! Check out our handy dandy open house schedule, including new listings and some that are still available. Happy house hunting! Spotlight: Arlington Homes of the Week! Today is Bastille Day, so let us eat cake and visit some open houses! You will say ooh la la when you walk into these fantastic listings. We have a great opportunity to get into the Arlington market, and two new construction condos that were built to impress. Check out the times below and we’ll see you there! Au revoir! Saturday, July 14th, 11:00 a.m. – 12:30 p.m.
Saturday, July 15th, 11:00 a.m. – 12:30 p.m. Looking to get into the Arlington market? Enter here! If convenience, location, and access to public transportation are high on your home-finding checklist, then this is the place for you! This bright and sunny 2-bed, 1 bath condo is in a low-rise condo complex with a functional layout for easy living. There is an updated open kitchen with plenty of cabinet space. The open concept living area is perfect for entertaining or just relaxing. There are hardwood floors throughout, ample closet space, built-ins, A/C, assigned parking (space "N"), and common coin-operated laundry. The master bedroom is spacious and second bedroom is good-sized with ample closet space. Hop on the Minuteman Bikeway and make your way to Arlington Center or stroll Mass. Ave. to the shops and restaurants in Arlington Heights. Also conveniently located near Rt 2, and is easily accessible to Rts 16, 3 and 128! This is a fantastic opportunity to own in Arlington! (MLS# 72197349) Click here for the full listing. What’s Nearby: Minuteman Bikeway, Arlington Heights shops & restaurants, Trader Joe’s Starbucks Mass. Ave. Elusive Arlington new construction in a prime location! This modern 3-bed, 2-bath, 2-level condo has a glamorous European flair that fits right in with your stylish tastes and contemporary preferences. Open concept living is flexible to suit your needs, and the layout feels spacious and welcoming. The modern kitchen with stainless steel appliances has clean lines and has all of the latest features. Upstairs is the gorgeous master suite with a master bath that feels like you’re at the spa - double sinks, chic tile, glassed-shower, plus walk-in closets you can get lost in! 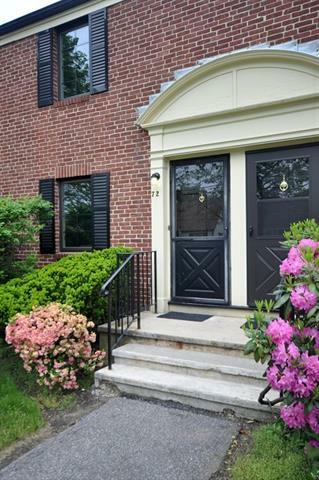 There is in-unit laundry, tasteful landscaping, and a traditional red door that says ‘welcome home!’ Conveniently located in a quiet location, close proximity to Arlington Heights, Mass. Ave., public transportation, shops and restaurants. So easy to hop on the Minuteman Bikeway, it’s a cyclist’s playground just a few pedals away! This is an amazing home, once you see it you’ll want to make it your own! (MLS #72190588) Click here for the full listing. What’s Nearby: Arlington Heights shops and restaurants, public transportation, Minuteman Bikeway, Mass. 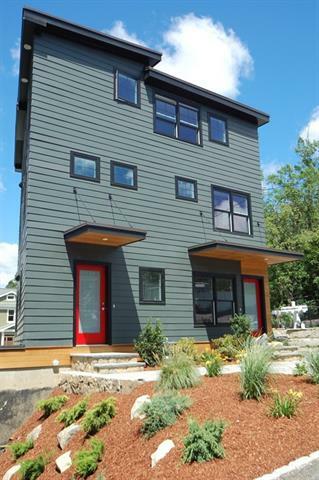 Ave.
Sleek, stylish and sophisticated new construction, this is a contemporary home-lover’s dream! This 2-level, 2-bed, 2-bath condo makes a statement the minute you walk past the freshly landscaped pathway and through the welcoming red door. 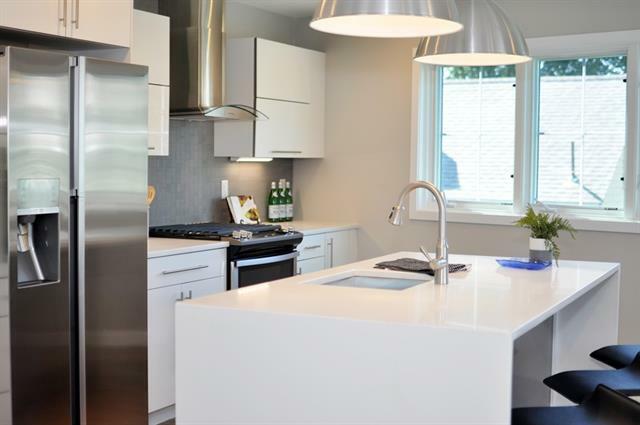 There is a streamlined kitchen with stainless steel appliances, modern cabinets, and naturally flows into a large open concept eating/living area. The posh master suite has amazing walk-in closet with built-ins that basically organize everything for you. Glossy hardwood floors, fresh bathrooms with subway tiles, the latest fixtures, lots of windows for natural light, plus brand new heating and A/C. You don’t have to do a thing but move right in! Conveniently located with close proximity to Mass Ave, Arlington Heights, public transportation, shops and restaurants. So easy to hop on the Minuteman Bikeway, it’s a cyclist’s playground just a few pedals away! This is your opportunity to own new construction in Arlington! (MLS# 72190572) Click here for the full listing. The land of the free, and the home of the brave (buyers)! What better way to kick off a 4th of July summer weekend than by checking out these new listings - amazing new construction and a two-family with so much opportunity! Heading out of town for the holiday weekend? Don’t worry - we’re kicking off the open houses TONIGHT! Come on by! Thursday, June 29th, 5:00 p.m. – 6:30 p.m.
Saturday, July 1st, 11:30 a.m. – 1:00 p.m.
First timers, multi-generational buyers, contractors, don't miss this terrific two-family home close to schools, parks, transportation, the bike trail and Arlington Heights! Family owned for many years, this home shows pride of ownership throughout. You will love the open layout, clever built-ins, garage and long term potential of this great home. First floor unit boasts front porch entryway, mudroom with closet, fire-placed living room open to dining room, 3 bedrooms and kitchen with pantry, plus easy access to the garden. Second floor unit includes a mudroom/foyer with stained glass window and closet, living room with fireplace open to dining room and kitchen with pantry, plus easy access to front and back decks. The three bedroom layout offers flexible space to create a separate office or den. Windows are replacement and all the appliances are included. This home offers a two car garage and a lovingly landscaped garden. Enjoy the summer in your new home!! (MLS# 72190608) Click here for the full listing. 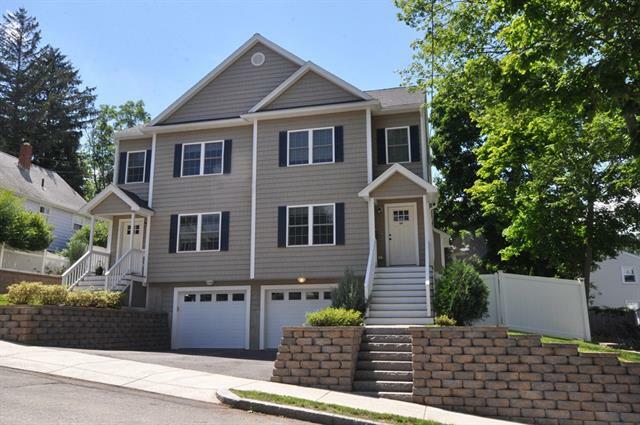 Spotlight: Arlington and Woburn Homes of the Week! Here they are! FOUR new listings buffed up to perfection and ready for YOU! Be sure to plug this Open House schedule into your device and change your lunch plans if you have to – you’re not going to want to miss these home buying opportunities! Friday, June 23rd, 11:00 a.m. – 12:30 p.m.
Saturday, June 24th, 11:00 a.m. – 12:30 p.m.
Thursday, June 22nd, 5:00 p.m. – 6:30 p.m.
Saturday, June 24th, 1:00 p.m. – 2:30 p.m.
See the full listings for each of these homes below! Have you been wishing for a Bungalow style home that offers beautiful craftsmanship and wonderful period detailing? Well this meticulous 3+ bedroom 2 bath home makes all of your wishes come true. There are charming details galore! 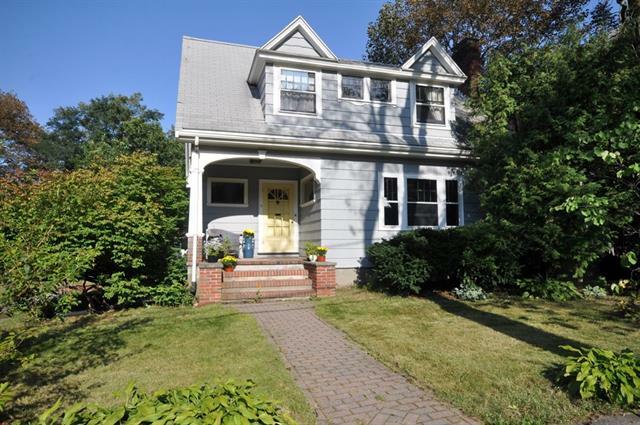 The lovely enclosed front porch opens to a foyer & fireplaced living room w/ big bay window. Take note of the beautiful staircase with stained glass windows. Built-ins, detailed moldings, and hardwood floors – there is a pleasant surprise around every corner. The dining room is very spacious, and the kitchen has a great layout with lots of cabinet space. A cozy family room is open to the kitchen. This wonderful home has many updates and as a bonus, the garage has been converted into a magnificent home office! The basement is partially finished plus lots of storage & work area. A covered back deck overlooks a lush backyard w/ utility shed, and stone walls. A quick stroll to Stratton School, parks and bike path. They just don’t build them like this anymore! (MLS #72187004) Click here for the full listing. What’s Nearby: Arlington Center shops and restaurants, public transportation, Minuteman Bikeway, Stratton School. 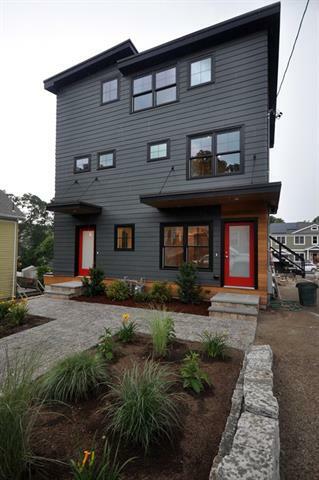 Built in 2013 to accommodate today’s discerning buyer, this 3 bed 2 ½ bath townhouse has it all! With over 2000S/F it feels like a single family home. Open concept first floor has access to the deck and fenced-in yard. A beautifully appointed kitchen featuring GE appliances, granite counters and a large island is a show-stopper and heart of the home. Attention-grabbing chair rail, shadow boxes and crown molding are throughout the first floor. The second level offers 2 spacious bedrooms walk-in closets, laundry, and full bath. Third floor master OASIS is complete with fireplace, oversized walk-in closet, tiled master bath, jetted tub, and separate sinks. Gleaming hardwood floors, central air, closet space galore, and garage parking are added perks. Mass Ave, public transportation, Trader Joes and Starbucks® nearby give a truly urban feel. Sutherland Woods, Hibbert Park, and Minuteman Bikeway counter-balance with a laid-back suburban feel. This home has it all and is not to be missed! (MLS# 72187070) Click here for the full listing. What’s Nearby: Minuteman Bikeway, Arlington Heights shops & restaurants, Trader Joe’s Starbucks, Sutherland Woods, Hibbert Park. Saturday, June 24th, 5:00 p.m. – 6:30 p.m. Location X3! Built in 1913 and renovated in 2005, get the best of old world charm, luxury living and a fantastic location in this 3-level, 3 bed, 2.5 bath townhouse. Welcome home and kick back on your farmer’s porch in style. Enjoy the quiet tree-lined street of East Arlington, or take a quick stroll to the bike path, Spy Pond, East Arlington or Arlington Center shops and restaurants! This home has all the bells and whistles - an open-concept first floor, gleaming hardwood floors, 9’ ceilings, crown moldings, and A/C. The designer kitchen is a gem with all maple cabinets, granite counters and stainless steel appliances. Upstairs boasts a large master suite w/master bath and Whirlpool tub. 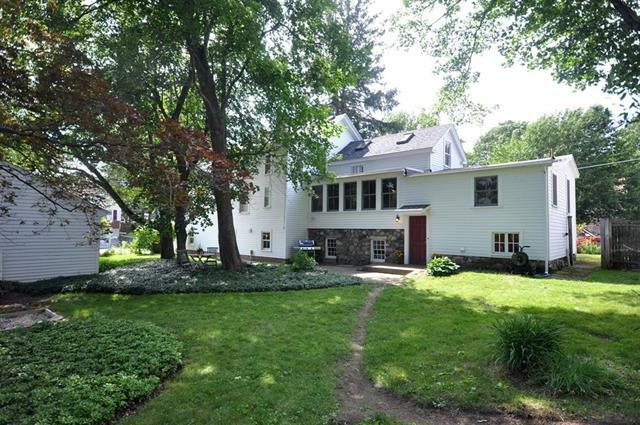 There is a rear yard and private back deck with seasonal views of the breathtaking Spy Pond. This home is more than livable, the location is beyond lovable! This is the chance to live in East Arlington that you’ve been waiting for! (MLS# 72187057) Click here for the full listing. 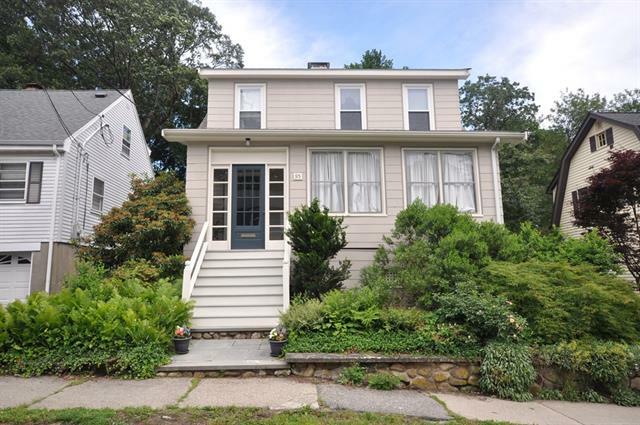 What’s Nearby: East Arlington and Arlington Center shops and restaurants, Spy Pond, public transportation, Mass Ave., Route 2, Minuteman Bikeway, Alewife Station. Beautifully restored 1840’s farmhouse with all of the modern amenities. 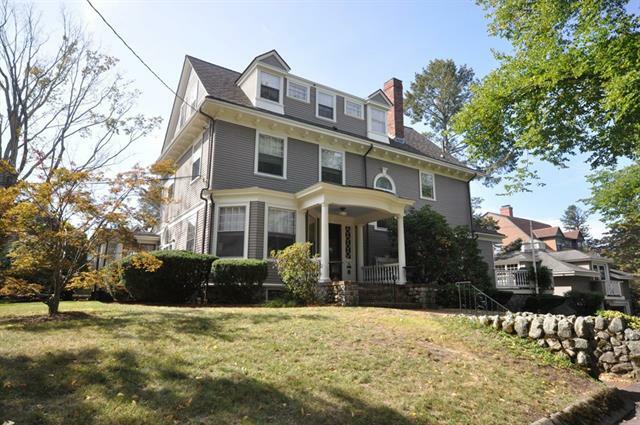 Rich in history and located on a corner lot that once held the Doherty General Store. Vestiges of its original use include large oak display counters, intact storefront facade, and the original walk in “ice box” which will convert easily to a wine cellar. The jawdropping kitchen has beamed cathedral ceilings, SS appliances, and concrete counters & opens to a spacious living room w/ Bose Surround Sound entertainment center (included). There are 3 large bedrooms, a first- floor master bedroom/office suite (you pick), and a gorgeous mudroom with built-ins and a cedar closet for seasonal storage. Out back you’ll find a shady private back yard, patio, organic gardens and two-car garage. 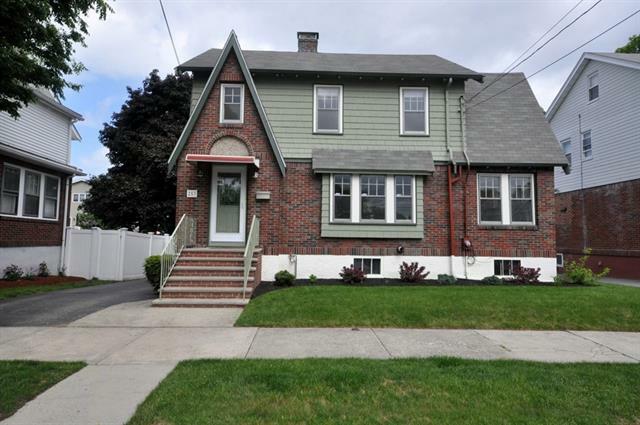 Out front you have original stonewalls, planter boxes and a welcoming front porch. 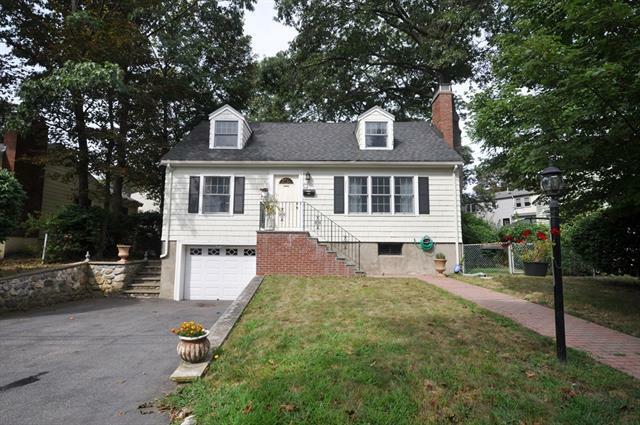 Ideal home for commuters, work-from-home or the modern expanded family. All of this with easy access to Rt. 95, Rt.3, Burlington Mall and Wayside Commons! (MLS # 72187092) Click here for the full listing. What’s Nearby: Burlington Mall, Wayside Commons, Route 95 Route 3. Is a great home with lots of updates in a fantastic neighborhood on your list? Look no further than 87 Stowecroft! Looking for a little more space outside the city, but still want that easy commute? Check out 35 Rockmont! Want one of the best locations in Arlington for an active lifestyle? 30 Hamilton will make you stand up and sing! Check the open house schedules below, beginning tomorrow and going through Sunday! Friday, June 16th, 11:00 a.m. – 1:00 p.m.
Saturday, June 17th, 11:00 a.m. – 1:00 p.m.
Lovely open concept Cape situated on a dead end street a short distance to the Bishop School, playground, and easy access to public transportation. Leave your car in the attached garage and hop on the bus to Alewife Station, Harvard Sq, or Lechmere. There’s much to love about this location & home including the many recent updates: new roof and gutters (2016), newer hot water heater (2015), newer windows (2012), freshly painted walls and refinished hardwood floors. The main level has an updated kitchen with granite counters and opens to the large dining room which creates an easy flow throughout the space. Kick back and relax in the living room with the gas fireplace or in the updated three-season porch overlooking the fenced in backyard. A first floor bedroom and full bath complete the main level. Upstairs has three good sized bedrooms and ½ bath. The partially finished basement awaits all your HGTV inspirations. This home is not to be missed! (MLS #72182675) Click here for the full listing. What’s Nearby: Arlington Center shops and restaurants, public transportation, Alewife Station, Harvard Square, Lechmere, Bishop School. Friday, June 9th, 11:00 a.m. – 1:00 p.m.
Saturday, June 18th, 11:00 a.m. – 1:00 p.m.
A Cape that you will love to come home to! Looking for a little more space outside the city, but still want that easy commute? This well-cared for 2 bed, 1 bath home is a picture perfect starter home or condo alternative. The landscaped walkway w/ pavers, slate and stone make a welcoming first impression. The 1st floor has a nice entryway, circular flow, with an eat-in kitchen, dining room, & living room w/ fireplace. There are hardwood floors throughout, French doors, & plenty of natural sunlight makes it feel warm and cozy. Enjoy the screened-in back porch on warm summer nights, admire your large backyard, mature trees – and stay protected from the bugs! 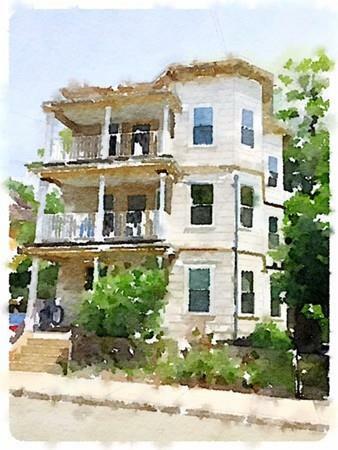 Upstairs has two good-sized bedrooms both with built-in dresser cabinets, full bath, linen closet and storage. All of this and easy access to public transportation, the Minuteman Bikeway, Mystic Lakes, Arlington Center shops & restaurants, close to the Bishop School and Arlington High. Kick off summer by making this home yours! (MLS# 72182687) Click here for the full listing. What’s Nearby: Minuteman Bikeway, Mystic Lakes, Arlington Center shops & restaurants, close to the Bishop School and Arlington High. Friday, June 16th, 11:00 a.m. – 12:30 p.m.
Saturday, June 17th, 11:00 a.m. – 12:30 p.m.
Talk about Location! Location! Location! 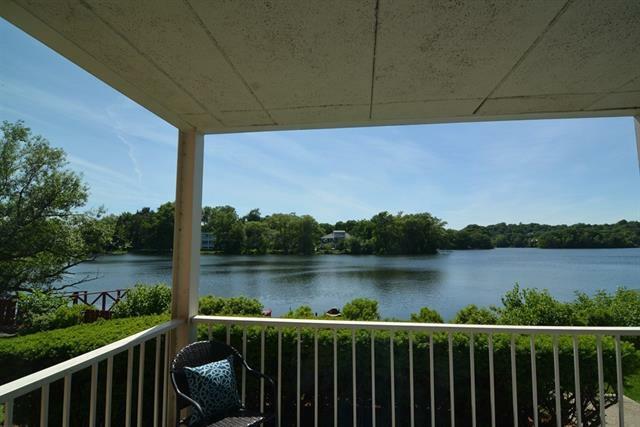 Look out the slider at Spy Pond-think sunsets, swans, & spectacular views. Hop on the Minuteman Bikeway to Arlington Center or East Arlington shops and restaurants. 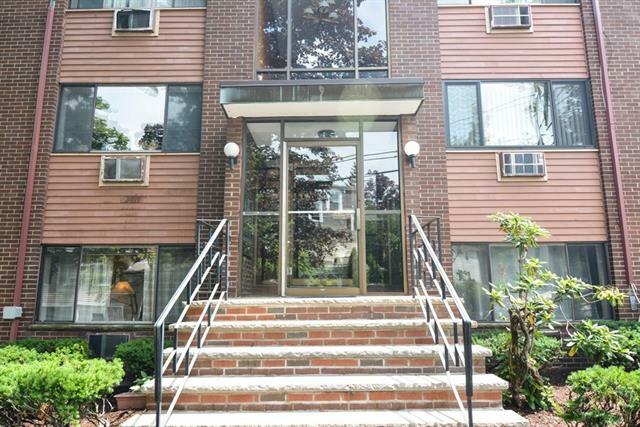 Walk or bike to Alewife Station in minutes! This 2 bed, 1 bath condo has a tastefully updated kitchen with stainless steel appliances, granite counters and lots of cabinet space. 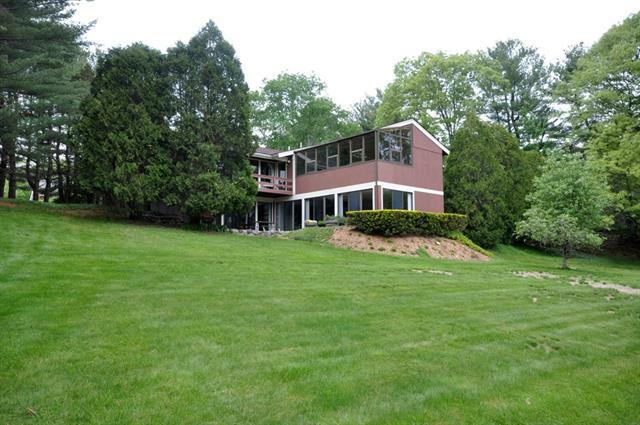 The open concept allows for beautiful views of peaceful Spy Pond from the main living areas. Sliders open to a private deck which is great for sipping morning coffee or evening cocktails. There is nothing to do but enjoy the summer breeze. With in-building laundry, 1 parking space, and some additional storage this is a must see! A true Arlington gem – close to everything yet you have biking, kayaking, and natural beauty at your fingertips. Don’t miss this chance for easy, maintenance-free living where you can accommodate an active life-style and still enjoy all the benefits of homeownership in Arlington! (MLS# 72182715) Click here for the full listing. 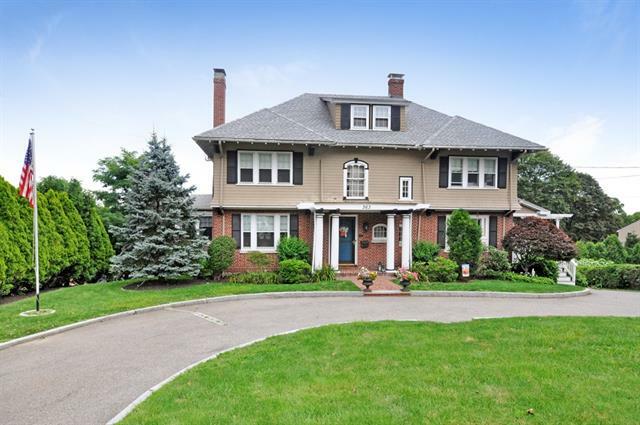 Spotlight: Arlington and Malden Homes of the Week! 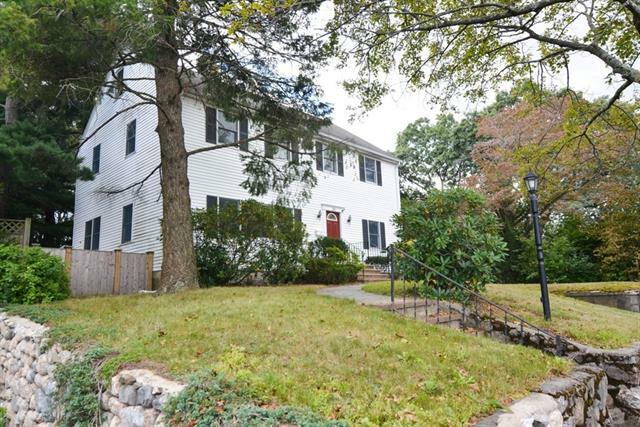 Looking for a downright gorgeous single-family home in Arlington? Check. Or do you prefer a hip condo in happening East Arlington? Roger that. Or, are you looking for something a little more under-the-radar and up-and-coming? Got that too. Did you know that Malden is ranked as one of the hottest up and coming neighborhoods in the U.S.? Check out this article from Boston Magazine. 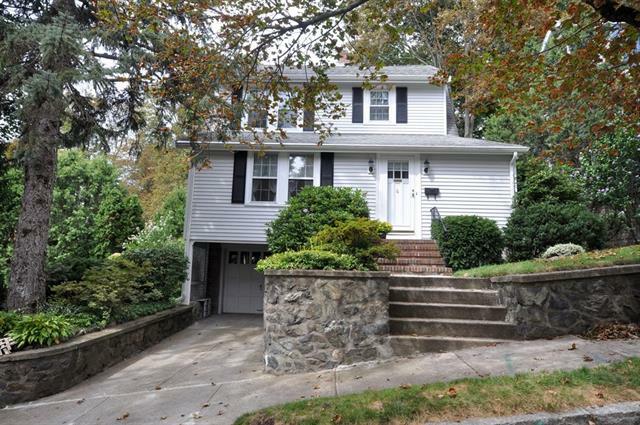 In the meantime, take a look at our listings in Arlington and Malden below to see what suits your fancy, and come by the open houses happening today and tomorrow! Saturday, June 10th, 11:00 a.m. – 1:00 p.m.
Sparkling, shiny & new! Impeccably designed & beautifully finished with every detail carefully considered so you don’t have to. This home was renovated from the inside out, with beautiful hardwood floors, recessed lighting, open concept, first-floor laundry & a kitchen that is right out of a magazine! Enjoy making culinary creations amidst bright cabinets, gleaming granite counters, stainless steel appliances, fixtures & custom mosaic tile backsplash. The fireplaced living room is a warm, welcome retreat after a long day. There are 3 oversized bedrooms upstairs with plenty of closet space and a tastefully renovated new full bath. The lower level boasts another bedroom, full bath, family room and plenty of storage – perfect for an au pair or in-law suite! There is a lovely, private back patio for those neighborhood barbecues or fire-pit gatherings. Close to Trader Joe’s, Starbucks, & public transportation. For the outdoor enthusiast Sunderland Woods & The Minuteman Bikeway are nearby. (MLS #72178653) Click here for the full listing. What’s Nearby: Arlington Heights shops and restaurants, public transportation, Minuteman Bikeway, Trader Joe’s, Starbucks, Sunderland Woods, Dallin School. Welcome to East Arlington! You have nothing to do but move right in to a lovely, renovated, energy-efficient, first-floor condo in perfect proximity to all Arlington has to offer. This 2-bed, 1 bath home has what you’re looking for – gleaming hardwood floors, high ceilings, open concept, beautiful woodwork, lots of natural light, & spacious rooms. Open concept living & dining area with original built-in china cabinet. The kitchen is bright & airy with stainless steel appliances, new fixtures, cabinets & tile floor. The bedrooms are good-sized & offer ample closet space. 1 deeded parking space in new garage (2017), cedar closet, storage, & laundry in the basement. Kick back and relax on your charming front porch after a busy day, or go to Arlington Center or East Arlington shops & restaurants. 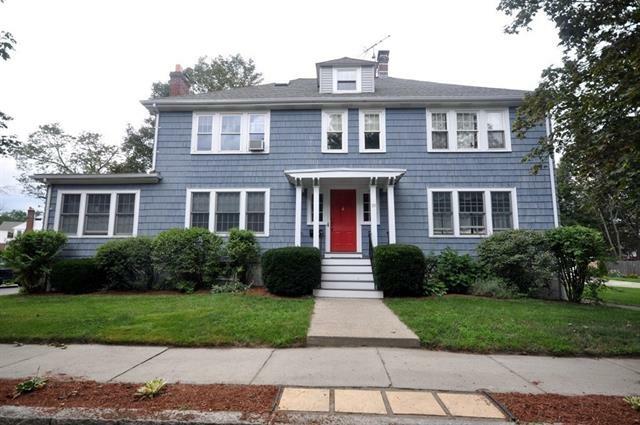 Close to public transportation, the Thompson School, & a short distance to Alewife, Teele Sq, and Davis Sq! You get that space you need yet keep that easy commute and urban life-style you love! (MLS# 72178624) Click here for the full listing. What’s Nearby: East Arlington and Arlington Center shops and restaurants, Mass. Ave., Davis Square, Teele Square, Thompson School. Friday, June 9th, 11:00 a.m. – 12:30 p.m.
Saturday, June 10th, 11:00 a.m. – 12:30 p.m. 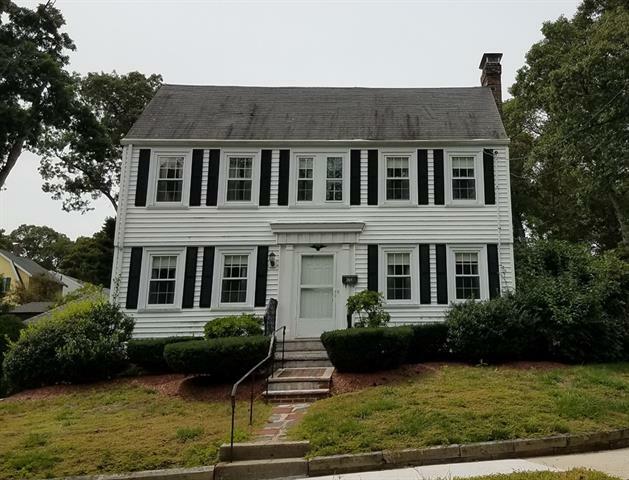 Fantastic opportunity to own a diamond in the rough in one of Greater Bostons up-and-coming neighborhoods! 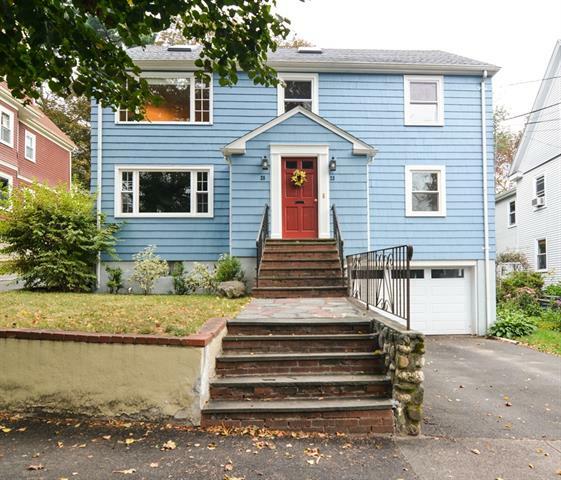 According to Boston Magazine, people are flocking to Malden for homes that are more affordable yet still an easy commute to Boston. This 3-bed, 2-bath home awaits your creative ideas the front entryway opens to a spacious living room, there is an eat-in kitchen, 2 beds and a full bath on the first floor. All the bedrooms have hardwood floors. The partially finished upstairs has great closet space and tons of potential for a master suite, office or family area. The basement also has... a full bath, storage, and is a blank slate that you can transform to suit your needs. There is a garage and fenced-in yard. 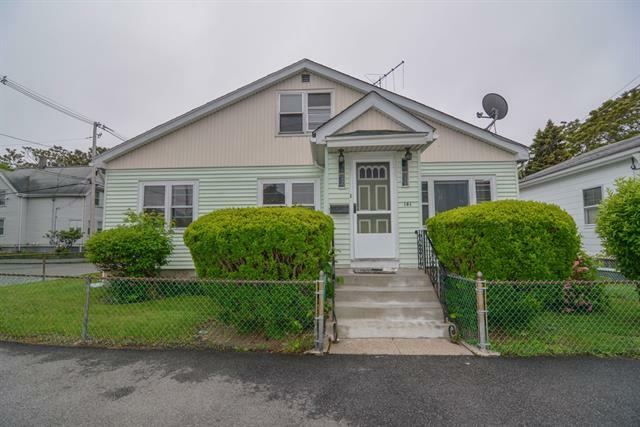 Close to the Orange Line, Route 93, downtown Malden area, many public parks, and easy access to those gorgeous North Shore beaches! This is a great chance to invest in an under-the-radar neighborhood that is poised to take off. Get in while you can! (MLS# 72178616) Click here for the full listing. 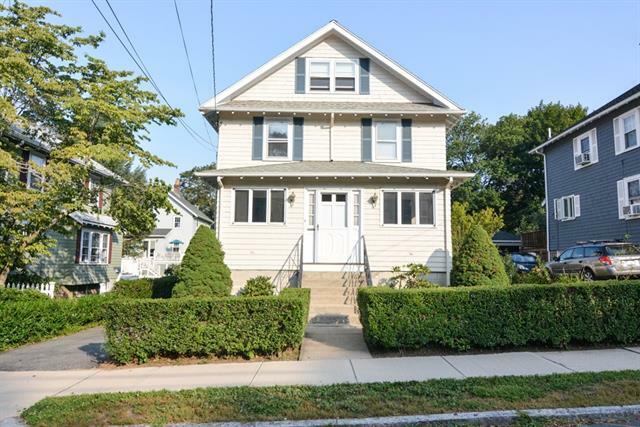 What’s Nearby: Orange Line T, Route 93, downtown Malden area, easy access to North Shore beaches. 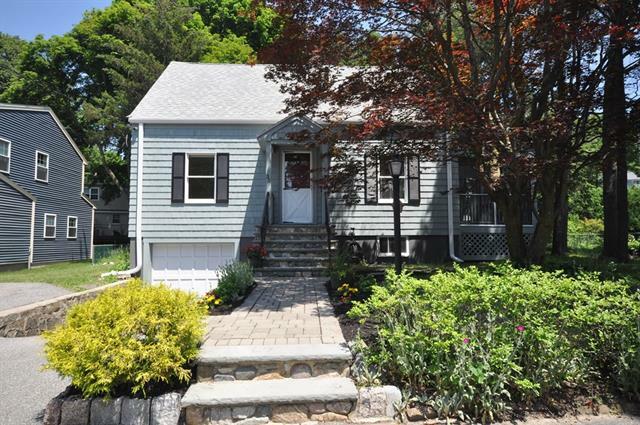 Spotlight: Lexington, Medford, Somerville and Watertown Homes of the Week! We have real estate tapas for your taste in homes! 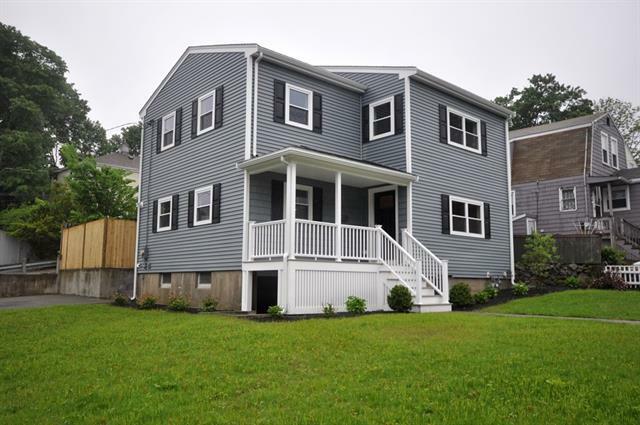 Two single-family homes in Lexington, a multi-family in Somerville, a single-family and townhouse in Medford, and a condo in Watertown - there is something for every palate! Open houses begin TODAY at 11:00 a.m. and continue throughout the weekend. Check the listings below for specific dates and time for each location. Friday, June 2nd, 11:00 a.m. – 1:00 p.m.
Saturday, June 3rd, 11:00 a.m. – 1:00 p.m. Spectacular Five Fields modernist home flooded with natural light and basking in the beautiful natural surroundings! Built in the 1950’s by The Architects Collaborative, this is an artist’s dream and a nature-lover’s paradise, with an abundance of floor-to-ceiling windows and an airy open concept. The upper level has a bright kitchen with sliders out to a discrete side yard. Lovely mature trees are the backdrop to an open living/dining room with fireplace and large deck situated in a tranquil setting. There are 3 spacious beds and full bath on the main level. The walk out level has 2-3 bedrooms, full bath, additional living space for an au-pair or family room –ample space you can tailor to suit your needs! Steeped in history and built as an antidote to a busy life, you can be at Alewife Station, Lexington Center, and Downtown in a short amount of time! Five Fields includes access to conservation land with a pond and association pool. A rare chance to be a part of this unique community. (MLS # 72172366) Click here for the full listing. What’s Nearby: Lexington Center and Arlington Center shops and restaurants, Route 2, I95, Alewife Station. Discover the ultimate in mid-century living! 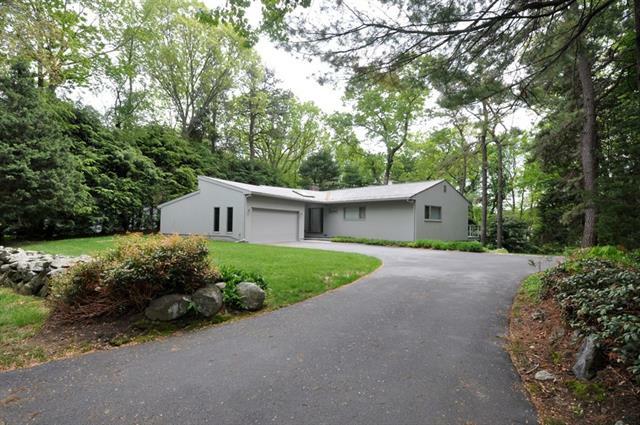 A beautiful contemporary home offering upper and lower levels! Nestled on the outskirts of Five Fields, this home was masterfully designed with the contours of home and land intertwined. Skylit rooms and floor-to-ceiling windows provide spectacular views of the yard which abuts Juniper Hill conservation land. The natural flow and airy design blur the lines between outdoor space and indoor living. The upper level includes a lovely kitchen w/ stainless steel appliances and an adjacent eating area, a spacious living room w/ fireplace & upper level deck, and a spectacular family room that brings nature to the forefront. 3 bedrooms including the master complete the main level. Lower level has its own spacious living area, walk-out access, additional bedrooms, laundry and bath, patio, 2-car garage, a sprawling yard. Membership at Five Fields allows access to a playground, pond & pool. You are not buying a home, you are investing in a lifestyle! (MLS# 72172637) Click here for the full listing. 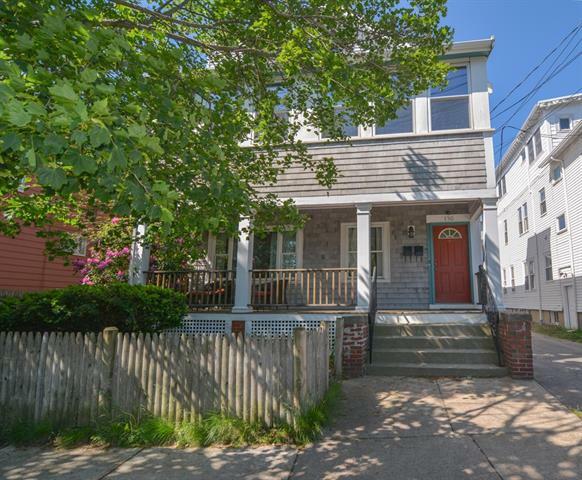 A classic three family/triple decker with terrific potential, located in the heart of Somerville. Boasting high ceilings, bright, spacious rooms and built ins. Two units with laundry hook ups and all with separate heat/hot water and electricity. Each unit in this classic home offers an eat in kitchen, two bedrooms, a front deck, mudroom, pantry area, hall/laundry area and basement storage. With multiple options available, this home would be a terrific investment for a developer, first time home buyer or multi-generational buyers, looking to live and enjoy investment property income. Newer windows and many updates, but this home will need some renovating and is being sold as is. Interested buyers may elect to have an inspection, but inspections should be done during group showing times. Two of the three units are rented, as tenants at will. Don't miss this rare opportunity to live in a vibrant community, close to shops, restaurants, parks, schools and transportation. (MLS# 72173921) Click here for the full listing. What’s Nearby: Somerville shops and restaurants, public transportation, Cambridge, Red Line. 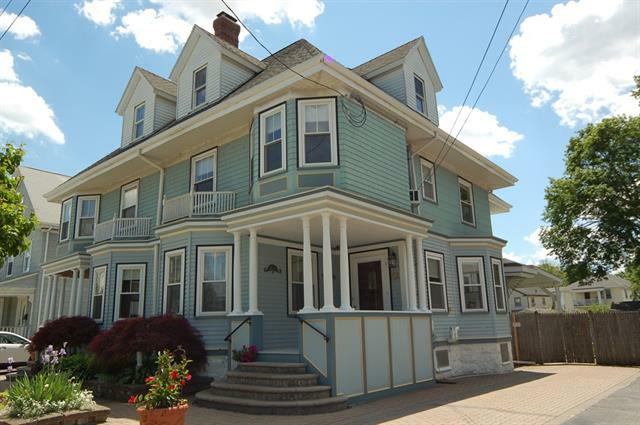 You’ll love coming home to this impeccable 3 bed, 2 bath 1848 Victorian 3-level townhouse in the heart of Medford Center. 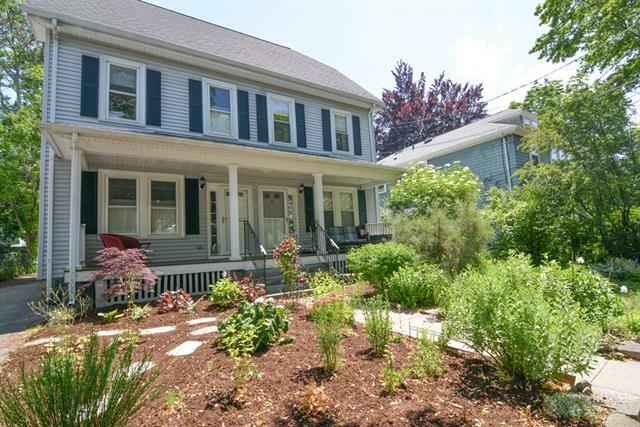 The welcoming front porch flows into a gracious foyer where you’ll find high ceilings, charming period details and gleaming hardwood floors throughout. The large living room and formal dining room w/beautiful bay windows, a renovated eat-in-kitchen w/stainless appliances, custom cabinets and granite countertops plus a full bath complete the 1st level. The 2nd level has a master bedroom w/dressing room featuring 3 closets and bay window, 2 large bedrooms and renovated full tile bath. The 3rd level is updated and full of possibility. Bring your creative ideas to make it your own! Outside are captivating planters, pavers in the front leading to the backyard. A true urban oasis! This beautiful space includes a covered patio, landscaped yard, gardens, and common above ground pool. Close to Tufts, Route 93, downtown Boston - the location can’t be beat! (MLS # 72173070) Click here for the full listing. What’s Nearby: Medford Center shops and restaurants, public transportation, Whole Foods, Starbucks, Tufts, Commuter rail, Route 93. Saturday, June 3rd, 2:00 p.m. – 3:30 p.m. 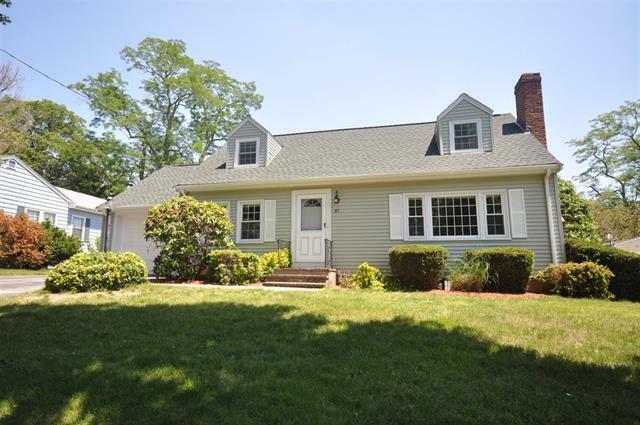 Nature lovers and dog owners–this home is a short distance to Middlesex Fells, be in the heart of nature & enjoy miles of peaceful hiking, walking or mountain biking. This meticulous & spacious Tudor has many updates providing a blend of original character offering a living room with a fireplace, a fabulous den/home office & gleaming hardwood floors throughout. The bright and airy kitchen which is open to the dining room has stainless steel appliances including Chef's gas stove with electric convection oven. There are 3 spacious bedrooms & a walk up attic. The lower level has a terrific laundry area & a large workshop. The fenced-in beautifully landscaped yard has a deck overlooking the stone patio- perfect for those fire-pit evenings and casual entertaining. An irrigation system, perennial garden with a beautiful lilac bush are ready for your green thumb. 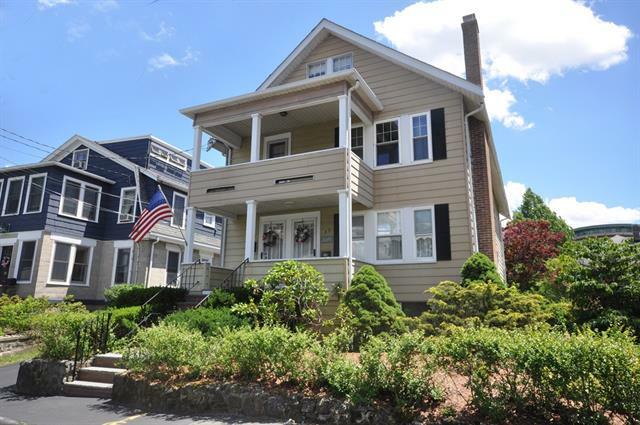 Finally, with easy access to major routes, downtown Boston, Medford Center’s shops and restaurants, you get the best of all worlds.. (MLS # 72174667) Click here for the full listing. Sunday, June 4th, 1:00 a.m. – 1:00 p.m.
Airy, bright, end unit located at The Village Condominiums of Watertown, a highly desirable complex. Three floors of simple, easy living! Enter into the open concept living room/dining room and take note of the gleaming hardwood floors and the intricate windows. The efficient kitchen offers granite counters, pantry, access to the yard and finished basement. Two bedrooms with hardwood floors, both generously sized and boasting good closet space, and a full bathroom are on the second level. A partially finished basement can be used to fit your lifestyle...work from home make a home office, need more space convert to a family room, have a treadmill make it an exercise space … and offers lots of closet space, laundry area, and utility area. Central ac and 1 parking space make this unit even better! Professionally managed association with community pool (summer is coming!) and clubhouse. Easy access to public transportation and major highways make this location ideal for commuters. (MLS #72023551) Click here for the full listing. What’s Nearby: Watertown shops and restaurants, public transportation, Mass Pike, easy access to downtown Boston.